Cheerleading and gymnastics are exceptionally physically demanding sports for young athletes and can actually be quite dangerous. Injuries are very common as the body is subject to forces and loads that are far beyond normal physiologic stress. On top of this, athletes are constantly pushing the limits with their tricks and stunts and the risk level is ever increasing. Cheerleading and gymnastics require a strong core, proper mechanics and teamwork to mitigate risk and attempt to limit injuries to the spine. 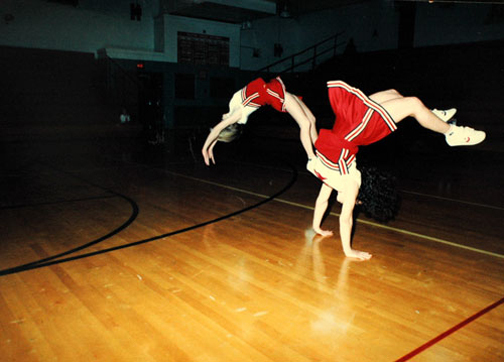 Unfortunately, cheerleaders and gymnasts suffer injuries at an alarming rate. Many injuries are strains and sprains which may be short-lived and recoverable, but equally common are more concerning injuries that can cause serious acute and chronic damage to the spine. We commonly see these young athletes in our clinic for injuries ranging from simple strains to more concerning stress fractures and disc disruptions. At worst, vertebral fractures and dislocations and spinal cord injuries are possible as well. Equally common is to see ex-cheerleaders and gymnasts several years removed from the sport as their old injuries begin catching up with them. Athletes must know the risks of these sports and, more importantly, how to best avoid them. As with all physical activities, conditioning is everything. Developing a strong core, proper body mechanics, and upper and lower extremity strength and flexibility are crucial to injury avoidance. When injured or experiencing pain, the athlete must stop the activity and rest. If the pain or discomfort persists, the athlete should be evaluated by a spine specialist. Treatments will depend on the type of injury suffered. Strains and sprains with typically improve with rest and rehabilitation and return to sport may occur when the athlete is pain free. More serious injuries such as stress fractures and disc disruptions may require more advanced treatments such as bracing or steroid treatments. 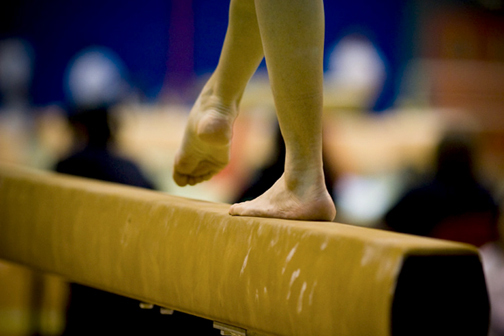 The most severe injuries may result in surgery and inability to continue with the sport. When it comes to injury prevention in high risk sports, the best advice is to be sure to trust your coaches and their methods. Think about the potential consequences of the stunt and whether or not you are personally capable of it. Train hard and protect yourself. Most importantly, come see us if you are hurt so we can make sure you don’t set yourself up for serious injury or a lifetime of pain.